Reports on Sunday claim that Research in Motion is seriously considering breaking up the company into two divisions; handsets and messaging. 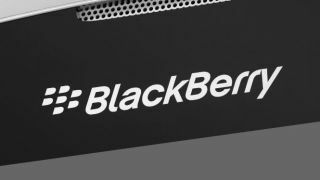 "RIM has hired advisers to help the Company examine ways to leverage the BlackBerry platform through partnerships, licensing opportunities and strategic business model alternatives. "As Thorsten [Heins, CEO] said on the Company's fourth-quarter earnings call, 'We believe the best way to drive value for our stakeholders is to execute on our plan to turn the company around.' This remains true." The Sunday Times writes (pay-walled) that the struggling smartphone giant may make its handset division a separately listed company, or indeed sell it off completely. The report puts Facebook and Amazon forward as potential suitors should the BlackBerry brand become available, for what could be a knock-down price. Quoting unnamed sources, The Sunday Times also believes there would be options to sell the BBM messaging and email software to Apple or Google. Another alternative would be, according to the Times, to keep the company together and sell it as a whole, to a giant like Microsoft, although we'd imagine Redwood may go after Nokia if that eventuality unfolded.